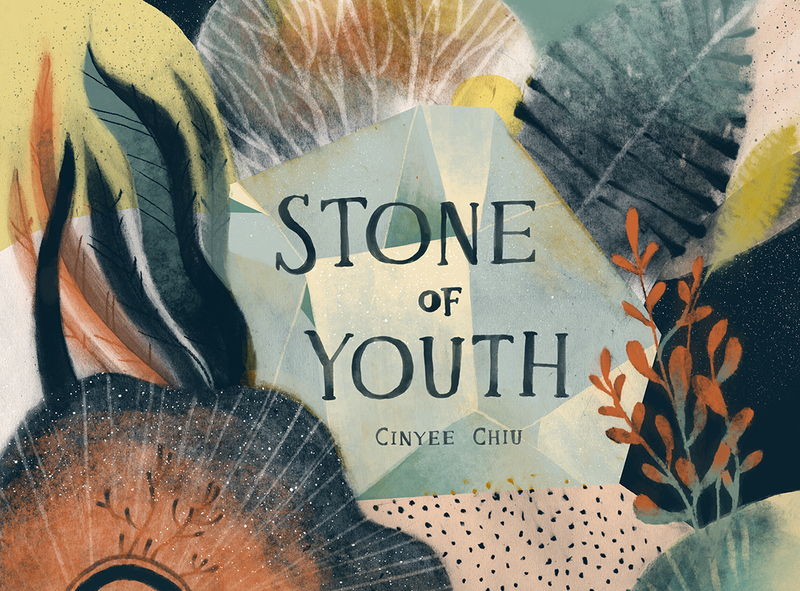 Stone of Youth is part of my thesis project for Illustration Practice MFA in Maryland Institute College of Art. It's a fable-like story inspired by my personal experience, it's also my first time drawing story in the picture book format. Though the whole process I didn't think in any children's market, which makes the outcome more personal and maybe adult oriented. I enjoyed this project a lot. I decide to draw with charcoal and color it digitally. For the cover and title, I almost gave up on drawing the text and use existing type instead. But in the end I use my watercolor hand lettering. I also did a book trailer animation.